Is a loved one under the weather? 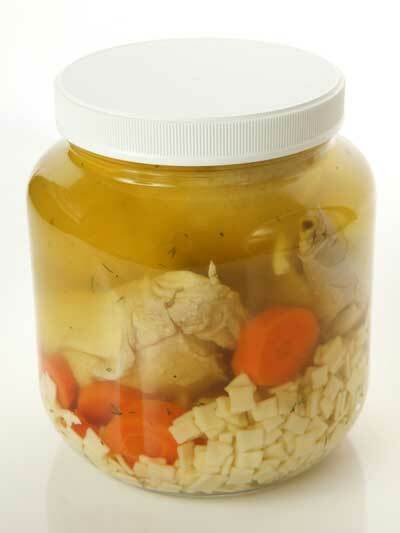 Then order a prescription of our signature Chicken in the Pot — it’s our Jewish Penicillin (chicken soup) with a ½ a boiled chicken, a matzoh ball, noodles, and carrots — to help speed them on the road to recovery. Sending Chicken in a Pot is the next best thing to being there! Salami & Rugelach Specials - "Put the Oy back into Joy!" Brighten the day of your favorite sons and daughters (you know, the ones who call often) with a tin of our finest rugelach or a whole salami and deli mustard. All guaranteed to arrive fresh from the 2nd Ave Deli. 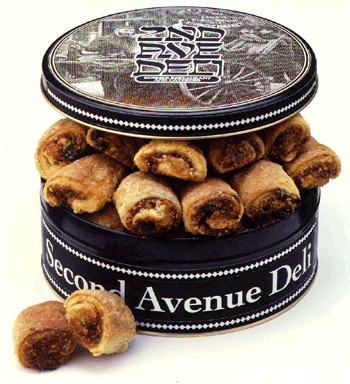 Our popular Rugelach Tin holds approximately 1.5 lbs of these tasty Kosher confections. 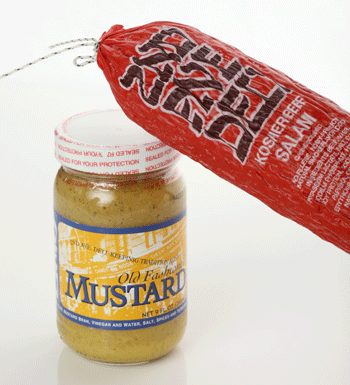 Our Kosher Salami and Deli Mustard will chase away those hunger blues and make your loved ones appreciate you even more when you send a Salami to them. To order, call (212) 689-9000 today! You’ll find a great selection of T-shirts, hats, aprons, drinkware and much more in the 2nd Ave Deli Store. Find great merchandise and apparel from your favorite deli. To order today, call (212) 689-9000. We’ll pack it up and send it right out to you. Now you can cook up a Yiddishe storm with all the recipes passed down from Uncle Abie and friends. More than a cookbook, this book contains anecdotal stories that highlight the esteemed history of the 2nd Ave Deli. Sure, the cookbook contains 100′s of traditional Jewish meals such as Corned Beed & Cabbage, Beef Brisket and even the old, stand-by Chicken Soup…but sometimes it’s about more than just food. Don’t worry if you’re not a good cook, Uncle Abie’s recipes makes everyone look like a pro! Get it from Amazon.